2017, where the hell did that year go right. It might be because I spend most of it in front of a television playing some video games. Oh yes, as this year: two thousand and seventeen comes to an end I am obligated to make ten posts over ten days listing the ten games I enjoyed the most/thought were the best games to come out over that twelve month period. Y’know, the actual grading system behind these lists has always been a bit nebulous. I just list all of the games I’ve played in a year, which seems to get smaller and smaller each time I do this, and just hold them up against one another. I squint my eye and ask myself, did I like this game more than this game? Then bam, I have a list. This game probably goes hand in hand with also being my biggest surprise of the year. I picked this up during the summer dry spell, when I had a thirst to play something that wasn’t Overwatch. As it turns out, I had a lot more fun with this game than I expected. And more fun that most other people apparently as hardly anyone else seemed to pick this up. The game seems like a throwback to the PC games of the late 90s and early 2000s, reminding me a lot of Deus Ex, the first Mass Effect or System Shock. You’re a scientist with amnesia, waking up on a space station full of horrible monsters. The game has a surprising level of customisation and variety to how you can play, as well as an open endedness to the what it concludes. Prey lets you know that the choices you make are important and making one choice will lock you out of another. It’s this type of thing I love in video games and somthing I feel a lot of developers shy away from in the modern era. It’s why a lot of MMOs frustrate me, there is no commitment to anything anymore. Everyone wants access to everything and nobody is willing to make difficult choices when it comes to how they spend their time on the computer games. You picked to play a Disciple Priest in WoW? Okay, you live with that choice and make it work for you. No swapping between healer and DPS on the fly… What was I saying? Oh, Prey. Prey’s a cool game. Like I said, there are a couple of skill trees that allow you build up both human and alien skills to make yourself a badass in all manner of different ways. I actually played the game through twice, while flipping around play styles in three different ways. Plus, it’s a cool horror science fiction setting which goes some pretty crazy places that I appreciate. The design of this orbiting ecology is pretty well realised and exploring the environments could feel as rewarding as playing through the main story. 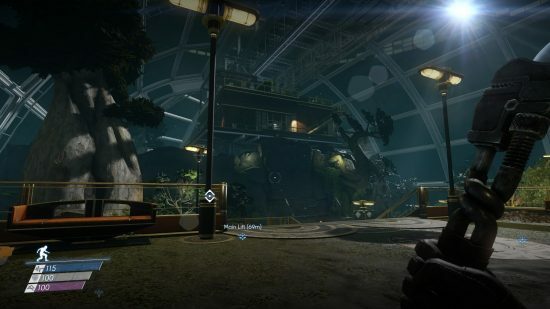 The game is packed with environmental storytelling elements that doesn’t only flesh out the people who lived in the station, but also give insight into a cool alternate history which lead to this world coming about. The endings felt somewhat dissatisfying in the same way the Deus Ex endings did. 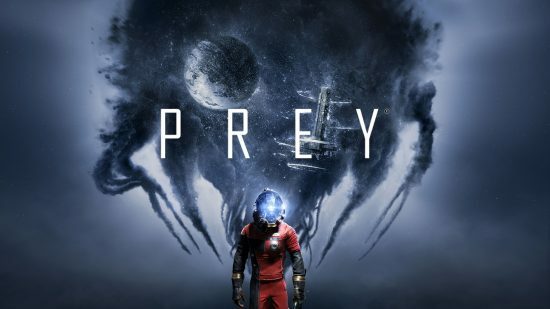 But overall I enjoyed Prey as a nice throwback to the PC RPG of 15-20 years ago, it would be nice to see more games like this in the future. And again, Bethesda, they’re doing good stuff lately. Posted on December 21, 2017 December 24, 2017 by WooderonPosted in 2017, Best of Year:Tagged arkane studeios, bethesda softworks, game of the year, goty, prey, science fiction horror.